CG PET 2019 answer key will be released online. The answer key will be released by Chhattisgarh Vyapam. 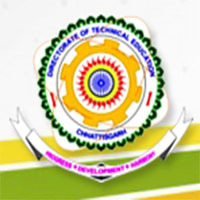 Chhattisgarh Pre Engineering Test (CG PET) is held for admission to undergraduate engineering, dairy technology, agriculture technology courses. Every year, thousands of students appears this test. CG PET is conducted at 80 centres situated across the country. Here, students can get detailed information for CG PET answer key 2019 including releasing date and how to check the answer key. CG Vyapam releases CG PET answer key for all the sets in May month. Students can download the official answer key of CG PET 2019 from this page. With the assistance of answer key, students can calculate their scores before the announcement of result. The model answer key will be released after the exam. Candidates can make objection after releasing of the answer key. Students can match their answers with the answer key and evaluate the marks by applying the marking scheme. CG PET 2019 Result will be announced on May 2019. Candidates can check the result through online mode only. The results can be checked by entering the roll number. CG PET 2019 will be held on 2nd May 2019. The model answer key of CG PET 2019 to be available on 2nd week of May 2019. After few days of the release of provisional answer key, the authority publishs the final answer key along with the result. Go to the official website of CG Vyapam (link will be given above). Click on the link related to “Click Here”. Now, answer key will be displayed in PDF format. Candidates may also take the printouts of answer key for future need. The board provide the opportunity to file objection in the generated model answer key. Candidates can make an objection. The answer key to be publishes set-wise for all codes of paper. After accepting the objections from the candidates, the board will release the final answer key after a few days. Candidates can check their answers according to their set in the question paper. CG PET 2019 answer key contain the exact answers of the questions asked in the examination. So, candidates can verify their answers with the official one. Candidates can send their challenges on online generated official answer key. Candidates can send their objections with proof and submit it to the CG PET office by courier or in person. Candidates can also send it through the email to the board email ID. Candidates are advised to send the challenges before the prescribed time period by the board. Candidates can use the marking scheme given on the exam pattern of the exam for calculating the answers. After that, no challenges will be accepted and they will be rejected by the board. CG PET contain questions from Physics, Chemistry and Mathematics subjects. The question paper has total 150 objective type questions consisting of 150 marks. Each correct answer is awarded with one mark. For indicating incorrect answer, 0.25 is deducted from the total score. The exam conducting authority declares the CG PET Result along with the final answer key through online mode in the website. The result be releases on month of May 2019. No other mode is applicable to check the result. Candidates can check their result by entering their “Roll Number”. No rank card or score card sent to the candidates through post or email. On the basis of the marks secured in the examination, the authority will prepare the merit list. The site says that there is a minus marking but during the exam the instructions on the last page of question paper say there will be no negative marking what to do now, confused and if the informations were wrong then what..
How much more time your team will take to release the ANSWER KEY. It s not released yet. when is answer key going to release? Answer key kab release hoga??? answer key kab ayegi sir…………….